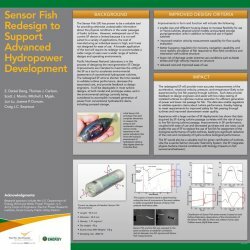 The Sensor Fish collects information that can be used to evaluate conditions encountered by juvenile salmonids and other fish as they pass through hydroelectric dams on their way to the ocean. Sensor Fish are deployed in turbines, spillways, and sluiceways and measure changes in pressure, angular rate of change, and linear acceleration during passage. 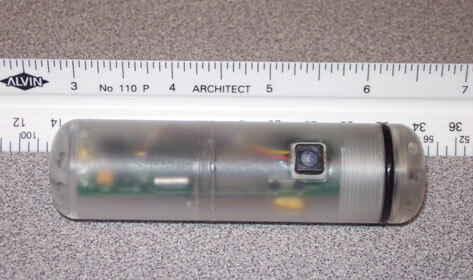 Approximately smolt-sized, the Sensor Fish is a polycarbonate cylinder containing triaxial accelerometers, a pressure gauge, and rate gyros that measure angular rotation. It is reusable and contains modules that charge its internal battery, program the sensor settings, acquire data, and convert analog signal to digital form. The acquired data, collected at a 2,000 Hz sampling frequency over a recording time of up to approximately 4 minutes, are stored on an internal memory card and transferred to computers via a wireless infrared link using an external infrared link modem. Before development of the Sensor Fish, biologists and dam engineers relied primarily upon physical and computational fluid dynamic models to characterize spillway and turbine passage environments. 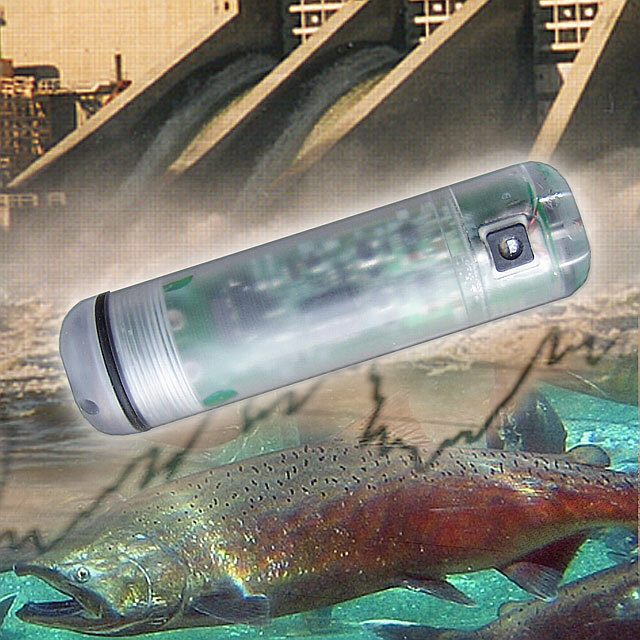 The Sensor Fish is an effective tool to gather information to characterize fish passage conditions (including shear forces, collisions with structure, acceleration, and pressure); this information contributes to decisions that will be used to improve fish survival and lessen injury.